MARQUETTE — With summer approaching, many turn to healthier diets. Folks in the Marquette area have a chance to try some healthy new dishes. 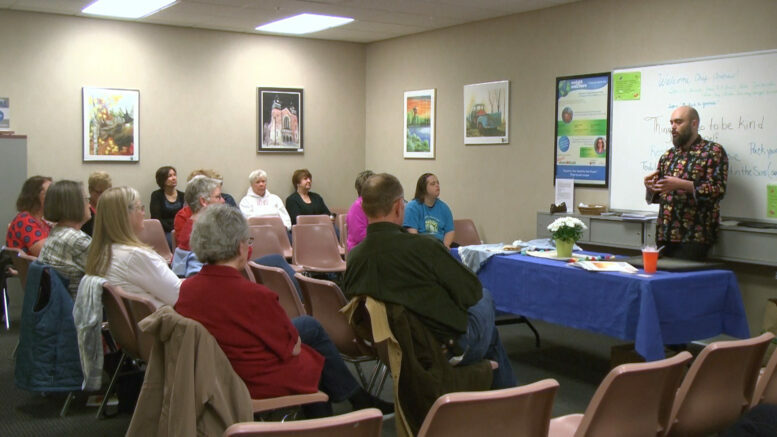 Weight Watchers is hosting cooking demos this week to help celebrate Earth Day. DIGS Chef Andrew Sear made Black Bean and Goat Cheese Quesadillas for all who attended, and explained the natural ingredients that go into the dish. The dishes demoed in this week’s sessions knock out many healthy requirements, both for humans and the earth as well. There will be more sessions this week. On Wednesday, April 25th, Weight Watchers member Lisa Cory will present her story of losing 70 pounds. Thursday evening, Sear will be back again to offer another diet– and earth–friendly dish.